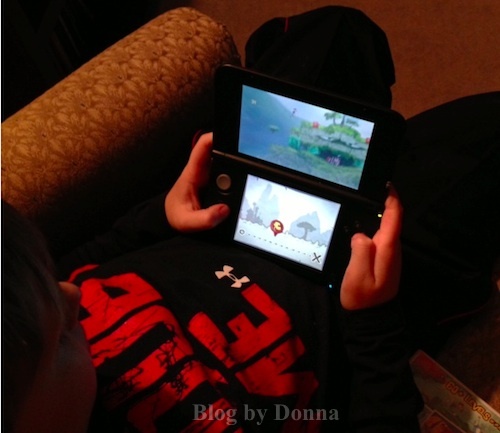 If you read my post yesterday you know my son celebrated his 10th birthday on November 25th and that he got a Nintendo 3DS game console and Rabbids Rumble. 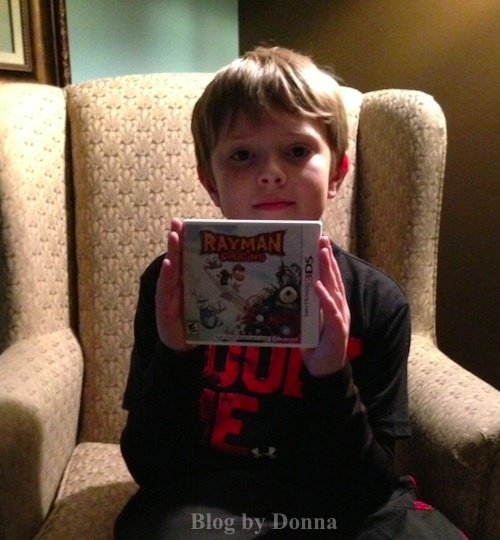 Along with Rabbids Rumble he also got Rayman Origins. We weren’t familiar with this game. 60+ Levels of Platforming Madness – Explore a massive world with over 100 characters & 6 unique worlds designed for all ages and playing styles. Epic Boss Fights – A giant pink monster with hundreds of eyes .A really, really angry bird. An evil carnivorous daisy. Rayman Origins will put players to the test with these and many more challenging boss battles! 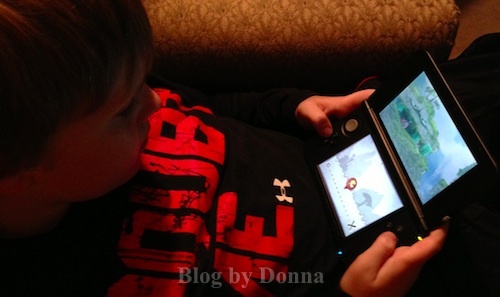 Street Pass Functionality – Taking advantage of the Street Pass, you can share your progression, number of collectibles, time played, unlocked achievements, and avatar with others. The levels I’ve played are fast paced, which I kind of like, but love that you can go back and replay the levels. It’s an offbeat, quirky game, with fun characters, even the enemies. Rayman is the “hero” but being a bit “not all there” he needs assistance. He teams up with his best friend Globox (you can play as Rayman or Globox) and others to bring peace back to the Glade after the Darktoons plunge the Glade into chaos. This game is fun! I’m trying to get my Mom to play it. She says once I am off school for Christmas break and she has more time, she’ll play it with me. Yay! I’m looking forward to going through all 12 worlds. 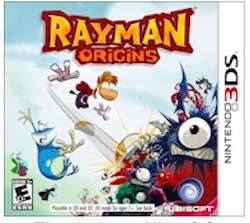 You can buy Rayman Origins at Amazon. As of the time of this review it was $29.96 or less. Disclosure: I received above product to facilitate our review. No other compensation was received. As always all opinions are 100% my (and my son’s) own. How cute that is that he wants you to play too? Sounds like a fun game. Will have to look into it for my boys. I bet all three of my children would like this game. awwe this little guy is so cute. I want one now for myself :D..
What a wonderful review from your son!! I have played some of the older games in the Rayman series and they were all really fun. Great review, he did a fantastic job! Must be pretty good to get a thumbs up from him! 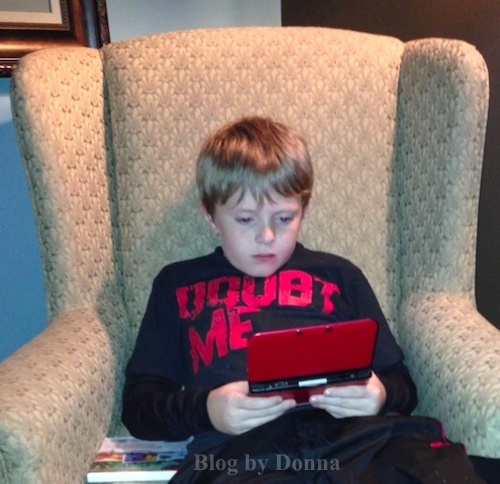 What a fun DS game!